Reflected, ambient light fills this popular slot canyon's sandstone sculptures with an incredible glow. The native term for this place is called "Hasdestwazi", which means "spiral rock arches." 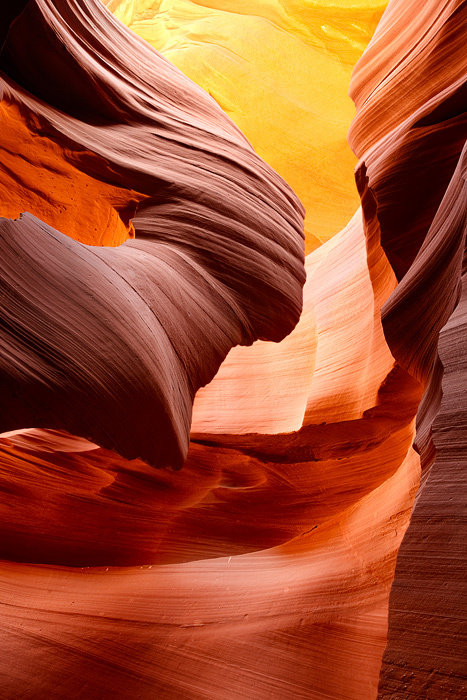 Antelope canyon is part of the LeChee chapter of the Navajo Nation.